Family law cases are about more than just the law. Usually, these cases are the result of significant and stressful emotional conflicts. While you want your lawyer to have the knowledge needed to help you make sound legal decisions regarding your well-being and that of your family, you also should be able to rely on your Mandeville divorce and family law attorney for a high degree of experience, personalization, and care regarding your case. Virginia Erwin Sirera handles difficult family law issues every day, but she does not treat them like ordinary problems. Backed by more than 20 years of experience, she approaches her clients' cases with reasonable solutions and a straightforward attitude. When you are experiencing the emotional heartache of considering divorce, it is difficult to see the long-term effects that certain decisions may have on your family. With her experience and qualifications as a court-appointed family law mediator, she fully understands the dynamics at play with families in transition. Her approach is to view each case with the big picture in mind. If children are involved, it is important to consider how actions and decisions will affect them now and in the future. 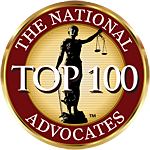 She represents clients in all matters of family law, including divorce and property division, child support and custody, adoptions and mediation services. For one-on-one representation in all matters of family law, contact Virginia Erwin Sirera online or by telephone at 985-276-9943. The firm offers reasonable rates, and handles cases in Mandeville, Louisiana, the North Shore and surrounding areas. She offers consultations over the telephone and off-site, and evening and weekend appointments as necessary. Credit cards are accepted and she offers reasonable rates.